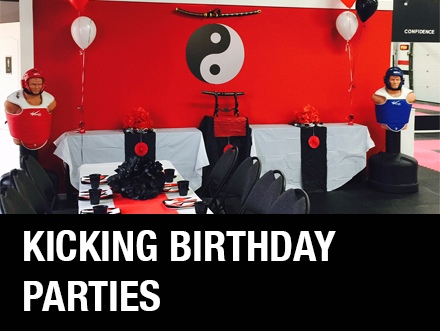 Our Birthday Parties are Exciting, Educational, Safe & most importantly loads of Fun. Take one on one lessons with trained, professional & experienced instructors to meet your goals. 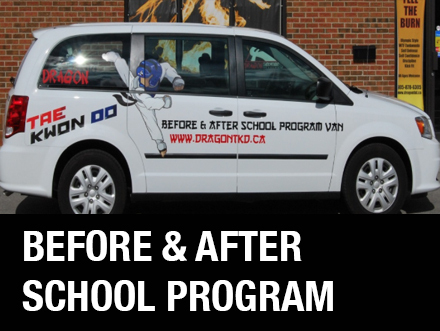 Our Before & After School Program has been design to help children reach their maximum potential. I cannot say enough awesome things about Dragon Taekwondo Martial Arts. The instructors are warm , knowledgeable and fun! They teach all the important technical aspects of martial art, but also the equally important respectful aspects. So happy we made the switch to Dragon Academy a few years ago. The staff are so friendly, helpful and great with the kids. They have the right mix of being tough but keeping it fun. I recommend this place to anyone!!! Taekwondo is a Korean martial art and sport, which literally means “The Way of Hand and Foot,” and predominantly uses the feet for kicking. Here at Black Belt World we teach the ​World Taekwondo Federation style of Taekwondo which is the only style recognized by the International Olympic Committee, Pan-American Taekwondo Union and Taekwondo Canada. Still unsure of what program suites you. Attend a class for FREE!